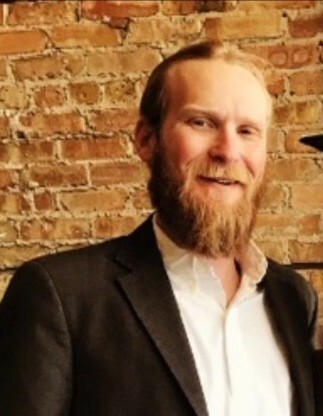 Okolona- William Gaylord Welles Anderson, 32, died Thursday, April 11, 2019, at North Mississippi Medical Center after a brief illness. Welles was born on October 16, 1986, to the late James Granville Anderson, Jr. and Amy Kathryn Welles Anderson. Welles was of Methodist faith and involved at The Orchard in Tupelo. Welles grew up a tough kid who loved hunting, fishing, and all things outdoors. Later in life he relished a ride across “The Place” with a friend in the passenger seat, of course to serve not only as good company but also as the designated gate opener. Growing up in a small town without even a red light, Welles was part of a tightknit community of friends who are family and was an integral member of the “little hood”, a group of guys who were brothers in their own right. His ultimate joy was sharing his own self-proclaimed vast knowledge of hunting and fishing. Welles enthusiastically shared this wisdom from daybreak to sunset during their outdoor excursions which often began around Mama Jo’s breakfast table. Later, the nights meant intense games of dominoes where nothing excited him more than having his big brother Tres on his team, usually for the better good of all. On the surface was a fun and friendly game that began with a little bragging from last week’s winners; however, there was always turbulence brewing underneath which brought on slight signaling and smooth gestures between Tres and Welles to ensure a big win. He wouldn’t want to disappoint his role model,Papa, who instilled so much in Welles, including his love of any game. Welles set the standard for a country boy from the beginning. From cattle, horses and farming right down to the love he had for his two favorite girls, his mama-Amy and sister-Lara Kate. Welles loved it all. He absorbed and adored Okolona, MS, and all that it represents. He had an edge to him but also had a huge heart and loved big, especially his family and nephews Jimmy and Everett to whom he was the famous Uncle Wee. A good book of quotes or one that pushed deep-thinking was a place where Welles found great refuge, as was his own personal journaling and poetry writing. Welles appreciated his roots and the principles his father, Papa, and Uncle Lynn instilled in him. There’s no doubt his grit and love for life came straight from his mama. Until his last days, Welles sought and loved Jesus and his huge family, which is the most important piece of Welles’s legacy. A service celebrating the life of Welles will be held at 3 PM Monday, April 15, 2019, at the First United Methodist Church in Okolona, MS, with Rev. Colby Cuevas officiating. A private family graveside will follow at the Anderson Family Cemetery in Okolona. Visitation will be from 1 PM until service time Monday only at the church. Condolences may be emailed to hollandfuneraldirectors@comcast.net. Holland Funeral Directors- Okolona Chapel is in charge of arrangements. Welles is survived by his mother, Amy Anderson of Okolona, MS; his brother, James Granville “Tres” Anderson, III (Kate) of West Point, MS; his sister, Lara Katelin Anderson Pope (Neil) of Nashville, TN; his grandmothers Jo Anderson of Okolona, MS and Sandra Welles of Arcadia, FL; his uncle, Jeb Anderson (Anna) of Tupelo, MS; his aunts, Dawn Anderson Robbins of Tupelo, MS, Tara Welles Jones (Ron) and Leslie Welles Hale (Justin) both Arcadia, FL; his nephews, James Granville “Jimmy” Anderson, IV and Everette Charles Anderson both of West Point, MS; his cousins, Aubrey Robbins (Connie) of Lewisburg, TN, Travis Cooper of Madison, WI, Owen, Tate and Mary-Jenkins Anderson all of Tupelo, MS, Sage Gray (Jed) of Okeechobee, FL, Remington Jones of Arcadia, FL, Alexis Heptinstall (Chris) of Fairmount, GA, Berkleigh Hale of Arcadia, FL; great-nieces, Stella Grace and Georgia Ann Robbins of Lewisburg, TN. Welles is preceded in death by his father, James “Jimmy” Granville Anderson, Jr., his grandfathers, James “Jim” Granville Anderson and William G. “Kayo” Welles IV., and his aunt, Talley Anderson Cooper. In lieu of flowers donations may be made to the American Diabetes Association, 350 West Woodrow Wilson Drive, Suite 2470, Jackson, MS 39213 or to the City of Okolona K-9 Unit Fund (remit to: Okolona K-9 c/o Bank of Okolona, P.O. Box 306, Okolona, MS 38860. Pallbearers will be Hunter Davis, Tyler Davis, Jake Jolly, Jess Davis, Davis Clayton, Jacob Washington and Bonner Coleman.